Experienced in performing for restaurants, weddings, corporate events, private parties, jazz clubs and other events. Can provide and arrange the size of the band and instrumentation to fit your event and budget everything from solo, duo, trio, quartet, and quintet. Repertoire always caters to what the employer wants to hear. Repertoire may consist of Jazz standards from 1920's to present, Blues, Funk, Bossa Nova, Samba's and Traditional and Holiday music when appropriate. I was worried with it being only 3 pieces and no drum, but the musicians were able to play and make the audience forget there were no drums. This is our second time having them, and again, they were truly a great experience. The Jazz Experience provided a terrific background for our Holiday Party. I highly recommend them. The Jazz experience was great - they showed up on time, sounded great, and were wonderful to deal with. Would recommend to anyone! 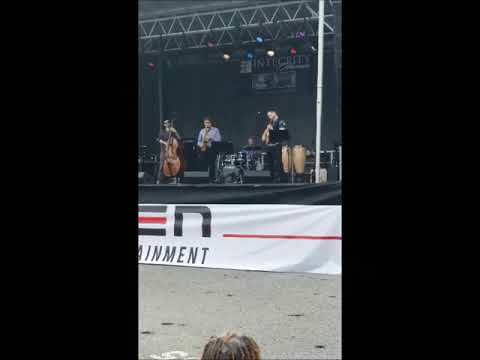 I had The Jazz Experience play this past weekend to celebrate the life of my beautiful wife who passed away much too young. I asked the band to play background music and accompany the James Taylor song, "You've got a friend". Since this was a life celebration, I asked that they play more cocktail party than funeral and they nailed it. They played a great variety of songs, it was great background music to some wonderful conversations that were going on, but it also was great music when folks paused and took time to listen. Would definitely hire them again. I hired Adam and his friend to play for my husbands 50th birthday. It was a very special touch. Everyone enjoyed the music. They were asking where did you find them. I would hire the Jazz Experience again. Very professional and on time. The trio were amazing. Clean, full sound with great repertoire. We would definitely invite them back. Great band for our corporate reception. Everyone enjoyed them so much and they were very professional and prompt. Adam and the Jazz Experience were great to work with. I had a corporate event in DC and using Gig Salad was so easy! The Jazz Experience's song list was perfect for my group. They played classic jazz standards and sounded great. 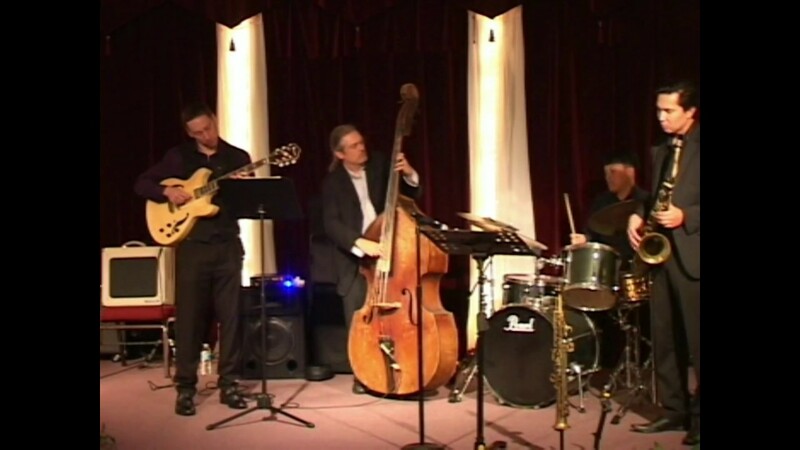 I hired the Jazz Experience for guitar and bass guitar to play music for my backyard wedding ceremony and reception. The music was great and communication with the musicians was easy. Can't beat the price either. Would recommend! I had an extremely positive experience working with The Jazz Experience for a corporate reception. They were professional, on time, understood the right volume to add ambiance and still allow for talking at a reception, and they sounded wonderful. Adam was very easy to communicate with, as well. I highly recommend. They caused me no extra stress with event planning - they made my job easier. Adam is great at what he does and very easy to work with. Would definitely recommend! My guests loved the band! My wedding guests are still raving about the Jazz Experience from this past weekend. They played songs that everyone knew during cocktail hour and the crowd loved it. Working with Adam while planning the wedding was a pleasure and he's very professional. I can't wait to work with them again at my next event. The Jazz Experience was apart of of Cesar Chavez's Music In Our Schools Month: Jazz Concert Series. They helped bring musical awarenss and express music through jazz in a schools assembly. This was there first opportunity to share music in a school setting, and they were very much welcomed and now are experts. LOL. All of the players wre proffesional and charastmatic in asnwering students question about there lives, instruments and the style of music the presented for the assembly. I would work with them again for other master classes and assemblies in the future. Awesome!! Repertoire always caters to what the employer wants to hear. 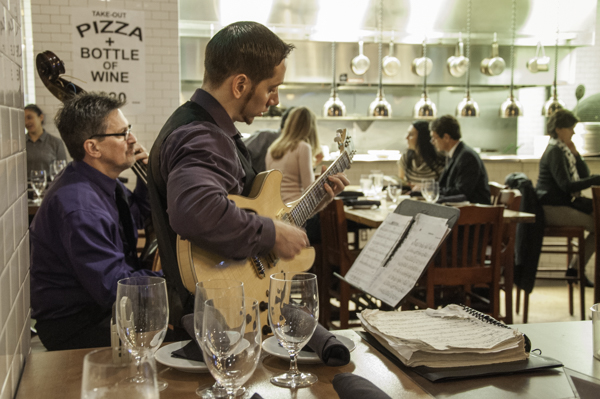 Repertoire may consist of Jazz standards from 1920's to present, Blues, Funk, Bossa Nova, Samba's and Traditional and Holiday music when appropriate . Band members include seasoned professional musicians from the DMV area. Instrumentation is flexible to meet the employers needs. Adam Fluger is a versatile guitarist, performer, educator and composer with 15 years of professional experience in the DMV area. Adam holds a Bachelors of Music Degree in guitar performance and a Masters degree. Led by Adam Fluger, the Jazz experience group consists of solo, duo, trio, quartet or quintet instrumentation depending on the setting and demand. 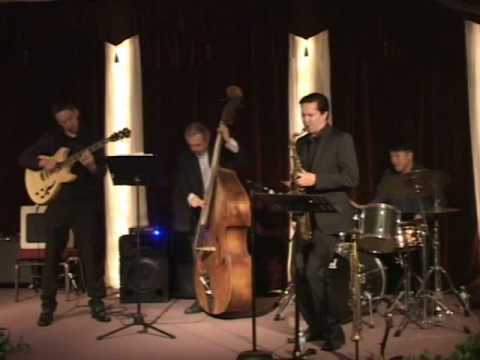 The Jazz Experience has performed at numerous jazz clubs, restaurants, weddings, hotels, and private parties around the Washington DC, Virginia and Maryland area. These venues include Twins Jazz, Bohemian Caverns, Columbia station restaurant, Jo Jo's, Busboys and Poets, Marriott, The Renaissance Hotel, Sala Thai, and the Smithsonian Air and Space museum.